If the meat of Guardian Heroes is the combat, the potatoes are the combos. 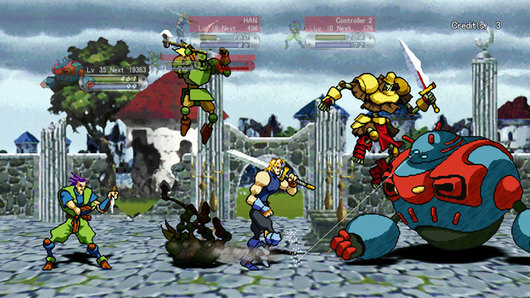 Unlike some simpler combat schemes featured in other beat ‘em ups, Guardian Heroes plays sort of like a fighting game and even includes a move list for each character. Going to town on an enemy is fun, but working the light/heavy mixups and following the enemies into the air for air combos is what feels really intense. 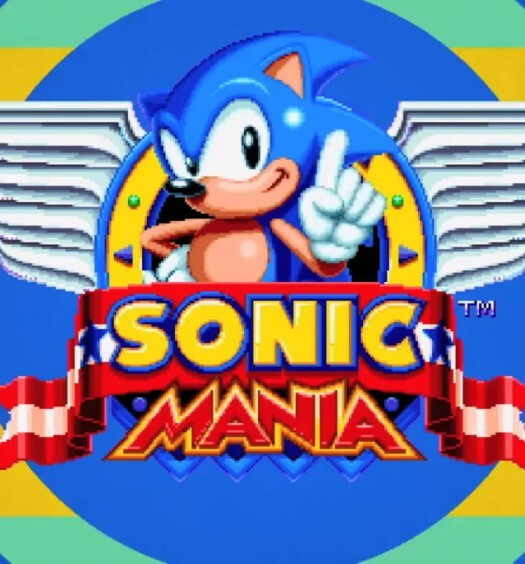 There is also air dashing and double jumps, making the game very fast, very frantic, and very much a fighter’s game. Using the big abilities (such as the various magical spells for mages) also integrated well into the combo system, serving as opportunities to take advantage of an airborne or knocked down enemy. Taking out casual enemies provides plenty of satisfaction, but as with any beat ‘em up, the game’s core is really the bosses. With less enemies on the screen, the multi-plane combat really works best here; it’s easier to think and manage space and is a lot less confusing. Along with that, the boss we faced had some pretty interesting powers and provided an appropriate level of challenge for an early stage of the game. He possessed a decent variety of moves to keep me off of him, but not too much to frustrate players for simply not knowing what each move did. Of course, later game bosses remains to be seen, but these battles are definitely where the unique maneuverability of Guardian Heroes characters will shine. 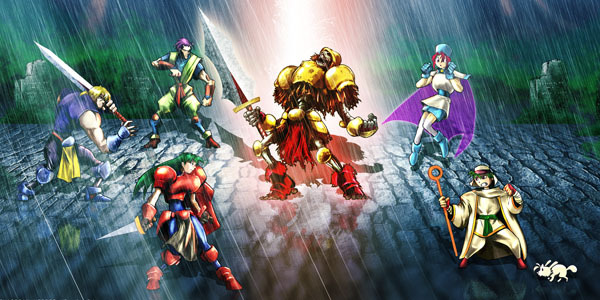 While the single-player experience will rely on the intrigue of branching story archs, co-op play, and different characters for replayability, there also exists a multiplayer mode that is full of unique bits and pieces. A rules customizing setup allows for tons of options and game changers for players that really want to tweak their “versus” experience. Changing abilities, changing parameters of the match… all of it is possible. Beyond that, players can even unlock and play as game enemies instead of just the protagonist characters. Unlike those characters, enemies can be rather huge and will have plenty of different gameplay options. 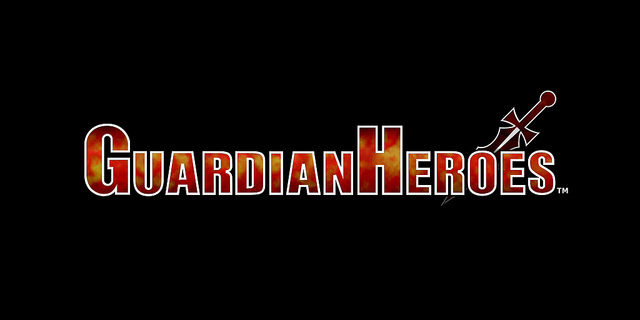 Guardian Heroes is definitely a look into the past, but it very much contends with today’s XBLA-offerings. Combining the more beloved aspects of brawler games such as many enemies on screen and unique boss fights with fighting-styled combos are where Guardian Heroes shines. How it will fare against more current gameplay mechanics is unknown, but while it’s not weighed down by older design concepts, it may leave some wanting. We’ll wait to see more as the game approaches release.